How much do cruise lines charge for children? Trying to figure out how much cruise lines charge for the children in your family is, unfortunately, no easy feat. With child prices ranging from free to the full adult fare and no clear rules on who pays what, it’s not simple to work out how much each cruise line charges for children. The rules often change depending on how many people are in the cabin, the age of the child and whether the cruise is in the school holidays or not. 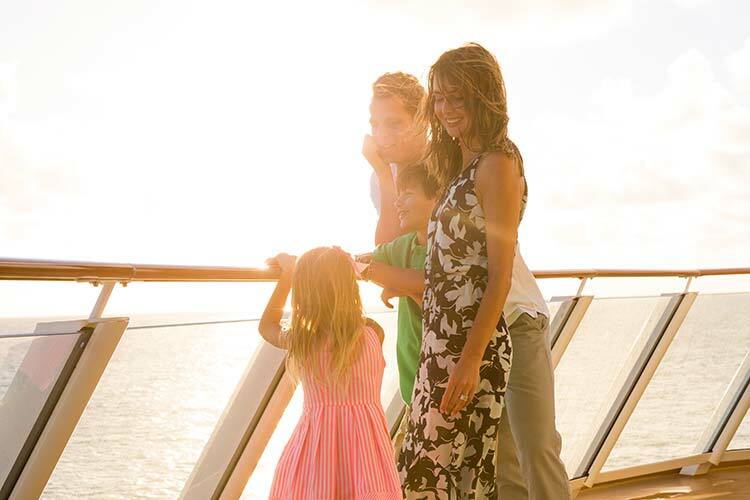 Let us answer some of the common questions that arise when you’re planning a cruise with children. 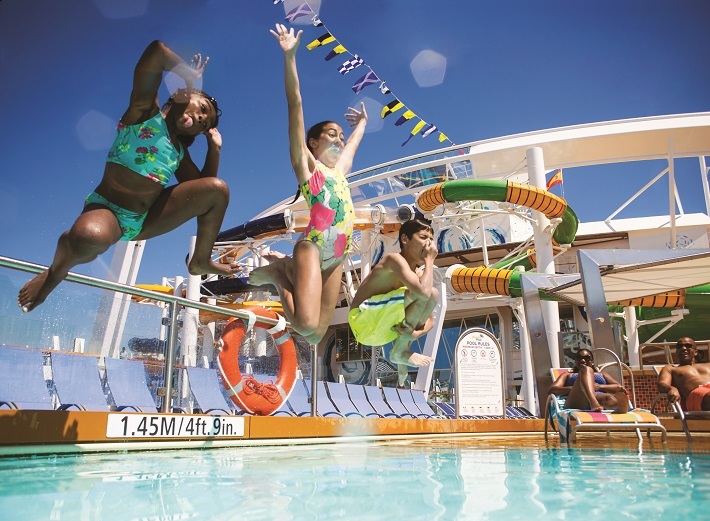 At what age do children pay a reduced rate on a cruise? Reduced rates for children are rarely based solely on the age of the child but instead based on them being the third or fourth passenger in a cabin, sharing with two adults. For families which have two adults and a number of children sharing a cabin, a discount will be applied to the children’s fares, regardless of the age of the children. However, if you have only one adult sharing a cabin with a child, the child will page the full adult fare. Conversely, if you have three adults in the cabin, the third adult will often pay a reduced rate. The percentage discount for third and fourth passengers can vary hugely, depending on lots of factors and can constantly change. The only way to get an accurate price for your family is to get a quote for the particular cruise that you’re interested in. Why are child fares so expensive on cruises? Cruise ships offer some of the best entertainment for children that you’ll find anywhere in the world, better than most 5* family hotels. Children can be entertained in the kids’ clubs from straight after breakfast until well into the evening with a range of fun and engaging activities organised by qualified childcare professionals. There are dedicated children’s facilities such as kids swimming pools, slides, arcades and stage shows. There is a lot of value in holidaying with your family on a cruise, especially for all the fun stuff that’s on offer for children. Where else can you dine at an American 1950s burger diner; enjoy zip lining over the sun deck; go ice-skating; and catch a Broadway show all in one day?! How much is charged for babies? Babies and toddlers don’t eat much or take up much space, so you’d think they’d be free, right? Wrong! 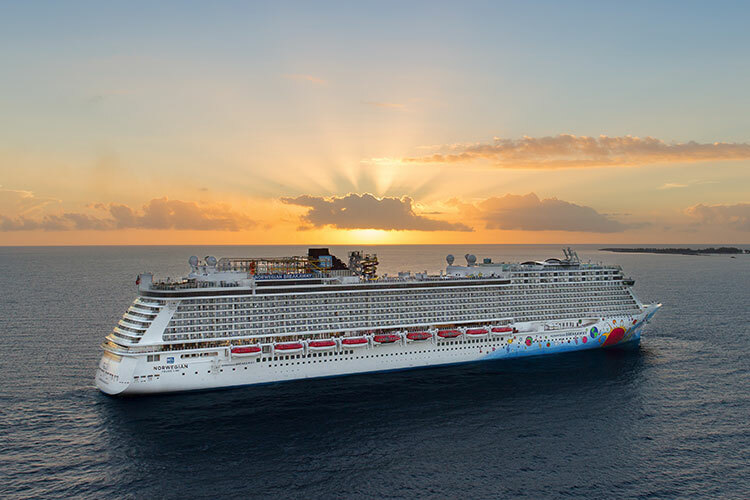 Most cruise lines treat babies and children under the age of two no differently than any other child, meaning that if you have only one adult and a baby in a cabin, you’d have to pay the full adult fare for the baby. If the baby is the third or fourth passenger, there will be a discount, but you will still have to pay something. Exceptions to this rule include MSC Cruises and Cunard who never charge for children under two years old. P&O Cruises always have a reduced rate for under twos, no matter what cabin grade is booked, so the price is the same whether they stay in an Inside stateroom or a Suite. Can kids ever go free? Yes! Great news for parents is that many cruise lines do occasionally offer free child places as part of their special offer promotions. Free child places are like gold dust to parents – it can almost half the cost of your cruise in some cases. However, caveats to this are usually that they only apply to cruises outside of the school holiday periods – great for those with children under five, not so good for anyone else who could face a fine for their children missing school! Also, the free places only apply for third and fourth passengers. So, if you’re a family of five or more staying in interconnecting staterooms, you’d still have to pay for at least two of your children.